Allianz Global Investors has sharpened its value proposition and brand positioning, with “Active is” becoming the key statement. What does ‘active’ mean to you? 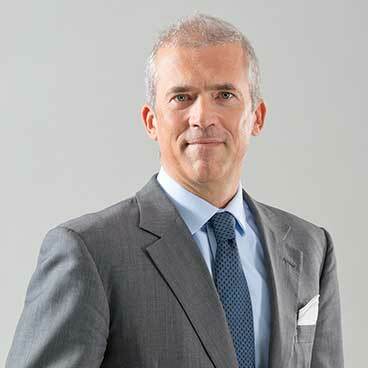 Andreas Utermann: First, “Active is” reflects our commitment to active asset management. Too often, active management is seen solely as a job of selecting securities and measuring performance against a benchmark index. While that’s a core part of what we do, we think active management involves a broader partnership built around identifying clients’ needs. We can use a diversified toolkit of strategies to meet those needs, and adjust the approach as required over the long term. Our toolkit includes expert capabilities within and across asset classes, that help us guide clients in a way that is truly product-agnostic. Whatever the arguments for active management, however, active managers need to show that they represent fair value. Our innovative pricing model is one way in which we seek to build a common understanding with clients of where and how we add value. Over the past year, with our “Active is” positioning, we have refined our positioning to accentuate our commitment to active, and set ourselves apart in the marketplace. But “Active is” doesn’t just reflect our commitment to active asset management. Being active is part of our DNA: it means leading change, taking ownership, working flexibly and challenging ourselves – among other aspects. All of these commitments come together in our brand promise – “Value. Shared.” – which underscores our mission to work with clients to address their challenges for the long run. Why is active management important right now, and what difference does it make for clients? Andreas Utermann: Asset management is still a fast-growing industry, yet it faces continued scrutiny from investors and regulators alike. Asset managers’ profit margins are tightening, and we anticipate more industry consolidation as a result. We expect the number of leading asset management firms to reduce from the current 200 or so to less than 50 players in the near future. Meanwhile, trust in the industry remains low, and clients’ expectations continue to increase. And, while passive investment vehicles have grown popular against the backdrop of a prolonged bull market, they may not position investors well when conditions – and opportunities – change. Faced with a more muted return outlook over the next five to 10 years, investors will need ways to work their money harder. Many investors are looking for alternative types of investment that may deliver uncorrelated returns. Investors are demanding greater transparency from their advisers: they want to know that the fees they pay reflect the performance they are achieving. Against this backdrop, we are focused on several key projects that support our vision to be a global active asset management leader. For example, we’re simplifying our operational backbone, and creating a global, state-of-the art and flexible enterprise architecture. We continue to expand our active conviction and alternatives investment offering. We’re extending and diversifying our distribution footprint, and we’re accelerating our digital transformation. And, of course, we’re strengthening our brand to emphasise the value we can add. We hope that clients rely on us to be a trusted and valued partner who puts their needs first. You said that your “Value. Shared.” brand promise underscores your commitment. What does “Value. Shared.” stand for? 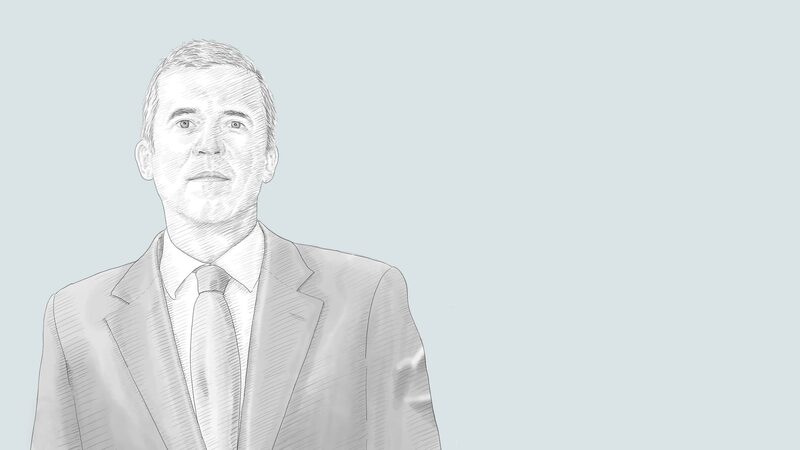 Andreas Utermann: We are one of the few truly global asset managers dedicated to active management, managing more than EUR 500 billion in assets for individuals, families and institutions. With “Value. Shared.”, we want to show that asset management has the potential to generate long-lasting value, not just for our clients but for all of our stakeholders. We also have a broader social role to play. Reflecting investors’ increasing desire to influence companies and society, we are integrating environmental, social and governance (ESG) factors into our investment process. Not only does this enable us to identify material risks, it allows us to engage with companies to help enhance governance and drive improved performance. Other examples of our commitment to “Value. Shared.” include our ability to co-invest in the products that we recommend to clients. Many clients find this attractive, especially for our illiquid offering. From our perspective, co-investing gives us an even deeper understanding of the outcomes that clients are looking to achieve. We also develop products in partnership with our clients, to find the solutions that work best for them. This involves very engaging and productive discussions to understand their needs. And our ability to deliver on these objectives is helped greatly by our internal culture of partnership and collaboration. We build teams and projects that cut across functional lines to maximise idea-generation and move quickly from planning to action. Our “Value. Shared.” commitment manifests itself in many ways, but ultimately it’s sharing our clients’ journeys for the long run, seeking to add value in a cost-efficient way – including through innovative fee structures – and staying focused on where the next big opportunities are coming from.